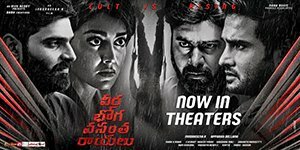 Nara Rohit and Sudheer Babu who has already shared the screen space together with ‘Shamanthakamani’ last year joined hands with Sree Vishnu and Shriya Saran for another multistarrer film, ‘Veera Bhoga Vasantha Rayalu’. 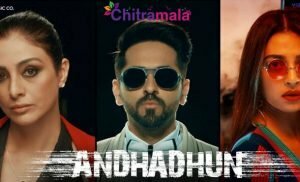 Touted to be a mystery thriller film, the movie is directed by a debutant Indrasena. 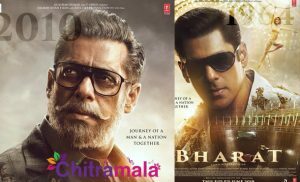 With the trailer, the film has already garnered positive buzz among the audience and created a good hype. As the posters are so interesting, the audience is expecting a thriller that keeps them on the edge of the seats. The film made a grand release today. Here is the review of the movie. The story itself has 3 sub-plots. The first one is a missing plane which contains the Indian cricketers and celebrities. The second story reveals some gruesome child abductions in Hyderabad. The third story deals with a child who registers a police case about his missing house. 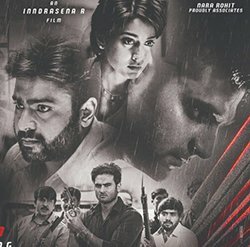 Special investigating officer Deepak Reddy (Nara Rohit) and Neelima (Shriya Saran) gets the missing plane case in which the hijacker demands that the government should kill 300 criminals to save the 300 hostages in the flight. S.I. Vinay (Sudheer Babu) unfolds the missing home case. What is the underlying connection between the three stories? forms the crux of the story. Out of all the characters, Sudheer Babu got larger screen time in the film. It is evident that Sudheer worked really hard for the film but his voice is different which actually makes the audience take some time before adjusting to it. Nara Rohith acted really well. He got another interesting role in the film and he justified his role well. South beauty Shriya Saran looked best in terms of looks and also delivered a good performance. As an antagonist, Sree Vishnu tried to prove that he is a versatile actor. Well, he acted well but his dialogue delivery should be improved. The film revolves around these four roles but the rest of the cast members also made their presence felt. The plotline is good but the narration is definitely not. Director Indrasena failed to create a positive impression on the audience with his execution. He narrated the script extremely slowly which actually irritated the audience. The production values of Apparao Bellana under Baba Creations are mediocre. The music by Mark K Robin is just average. The songs are actually boring and routine but the background music is very good. Cinematography by S Venkat and Naveen Yadav is fine. Their camera angles are nice. Editing by Shashank Mali could have been much better. The film has a good and crisp runtime. The movie has an intriguing plot for sure. But the slow-paced narration and the poor execution skills of directors became the minus points in the film. The movie starts with an interesting note. The first half is decent with the introduction of characters and narrating the story. The second half has so many flaws. Most of the scenes are boring and brings a headache for the audience. The climax is definitely a major highlight in the film. It hints that there will be a sequel to the film. On the whole, ‘Veera Bhoga Vasantha Rayalu’ is a dull thriller which can be avoided.